*comparing electric supply-rates only. This does not include the charges from the utility to deliver power to your home. 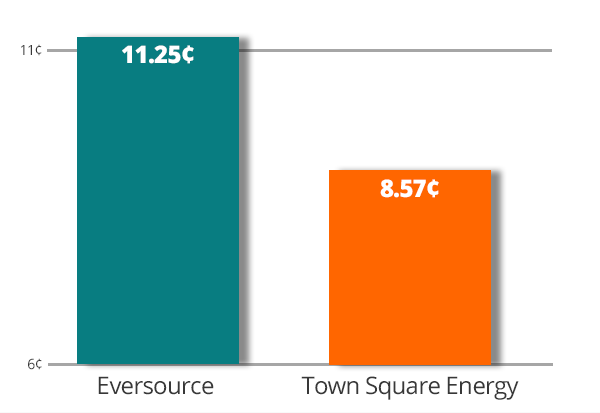 Comparison based on the current standard residential service supply-rate offered by Eversource of 11.25¢/kWh. This supply-rate offer is for Eversource customer’s living in New Hampshire.